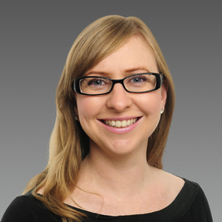 Dr Claire Hinton completed her initial medical training in South Australia before moving to Western Australia where she completed her Specialist Anaesthetic qualifications in 2013. Dr Hinton’s main interests are in high-risk obstetrics, emergency management of anaesthetic crises, regional anaesthesia (including peri-orbital techniques), orthopaedic/vascular/robotic/ENT surgery and paediatric anaesthesia for children down to 12 months old. She is currently also contributing to the body of research in anaesthesia at King Edward Memorial Hospital; in particular, incorporating echocardiography into emergency obstetric practice. During Dr Hinton’s training she completed additional post-graduate qualifications in ultrasound guided regional anaesthesia and echocardiography. She also completed a year-long fellowship in echocardiography. Dr Hinton is accredited at the majority of Perth’s private hospitals.